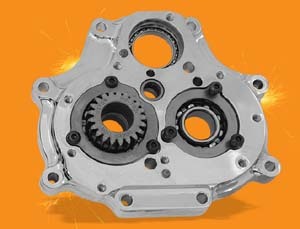 BK-F6R: New for this year we proudly introduce the BK-F6R reverse kit for the 2009-Later factory Cruise Drive 6-speeds. 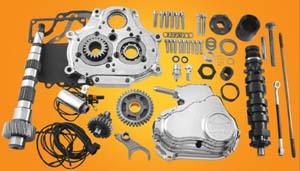 Kit includes the door, side cover, countershaft, reverse gears and shift system, safety solenoid and related hardware.The kit adds a reverse gear to any existing 2006-later factory big twin 6 speed. 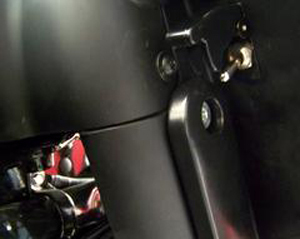 The system is unlike any other on the market – it works off the stock shift lever. With a simple flip of the handlebar or dash mounted safety toggle switch and a kick of the shift lever you’re in reverse. It’s that simple. No reaching near hot pipes to put your bike in reverse by hand. 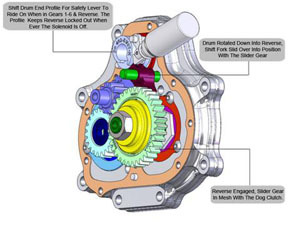 With the reverse system you’ll be able to safely shift from 1st to reverse and back with no risk of engaging both gears at once. You’ll also find it’s much easier to find neutral than on a stock bike. These reverse gears are fully heat treated, with diamond ground tooth profiles and cut from gear grade 8620 steel. 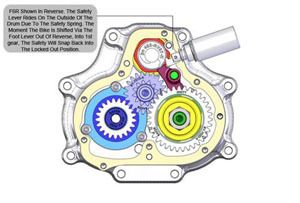 The gear ratios were chosen to make it easy for you to maneuver your bike in reverse. 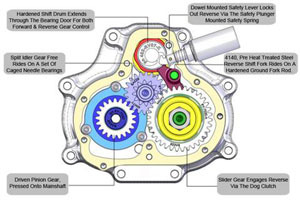 The overall 4.98:1 gear ratio in reverse is essentially a creeper gear, which is 45% shorter than the stock 3.34:1 first gear. 2007-08 Touring Model Exhaust Installation Notes: The stock exhaust will clear the F6R front facing solenoid side cover and solenoid. 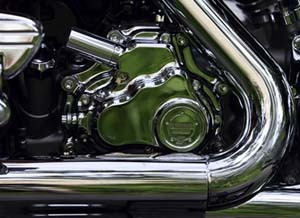 An exhaust that follows the path of stock exhaust or true duals where the rear pipe travels directly to the left side of the motorcycle over the top of the transmission will work. Two-into-one style pipes where the rear head pipe goes down the front of the stock transmission side cover require the use of the rear facing solenoid side cover. 2009-Later Touring Model Exhaust Installation Notes: The stock exhaust two-into-one-into-two design requires the use of the rear facing solenoid side covers. 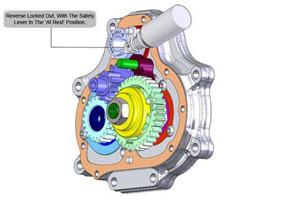 Customers installing a BK-R6 on Screaming Eagle bikes with factory installed hydraulic side covers will need to purchase the 2013 hydraulic clutch kit. 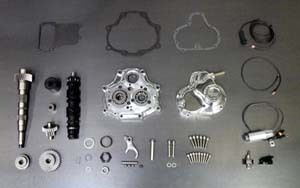 This kit includes one center push rod, one screw adjuster, one release plate, one internal retaining ring, and one jam nut. 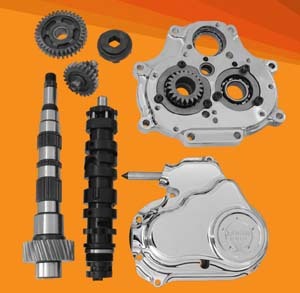 These parts retro-fit the clutch rod and adjustment to a mechanical ball and ramp. 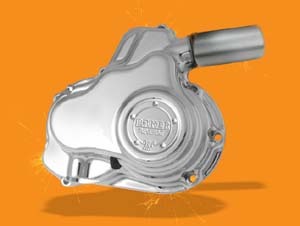 The side cover is set-up to work with the BK-R6 1.5” piston and push rod in the BK-R6 side cover.